Age or weight seems to have no strong relevance when trying to unearth the winner of Scotland’s favourite National Hunt race, although it is worth bearing in mind that 28 of the last 40 winners have carried 10st 7lbs or less. We have also seen Grey Abbey (2004) carry 11/12lbs and last year the novice Godsmejudge 11st 3lbs in the last 10 years. In the same period we have seen three Joes Edge (2005) Hot Weld (2007) and Iris de Balme (2008) win from out of the handicap. One very strong trend however, is the necessity to have an animal that either races up with the pace or just off it as hold up horses do not succeed. So what of this years race? As back to back winners (Barona 75,76 Androma 84,85) are not unknown last years winner the Alan King trained Godsmejudge is worth considering. Generally disappointing in his three runs since last years victory he is not at the time of writing a certain runner. However, to quote his Scottish born trainer “I have left him in because he is coming back to himself and if he works well mid-week I will let him take his chance”. He is not harshly treated with only 6lbs more than last year and if turning up is definitely one for the short list. The current favourite Lucinda Russell’s Green Flag seems a likely candidate. By Milan out of an Un Desperado mare his pedigree is all about stamina and this has been borne out by his racecourse performances, particularly in his last race. At last months Cheltenham Festival he stayed on stoutly up the hill to finish a respectable fourth to Holywell, Ma Filleule and The Package. As the first two went on to impressive victories at Aintree the form is top drawer. As he races just off the pace another for the short list. The Tim Easterby trainer Trustan Times ran a fine race in the Pertemps Final, a hurdle race at the Cheltenham Festival 3mls. Here he was a running on fourth a nse and two necks behind the classy Fingal Bay. Perhaps, even more interesting he was only a neck behind last weeks Grand National hero (who we advised e/w ) Pineau de Re to whom he was conceding 4lbs. Here he tracked the leaders and with his chase mark 13lbs lower than his hurdles rating he must be considered. For a runner from the Paul Nichols stable Pougnach is a massive price for a horse who stays so well. Last time giving 23lbs to the winner over 3m5f at Taunton he was a very creditable staying on second.at the moment he is 2lbs out of the handicap but in the event of Tidal Bay defecting the weights would rise 19lbs giving him a nice racing weight. 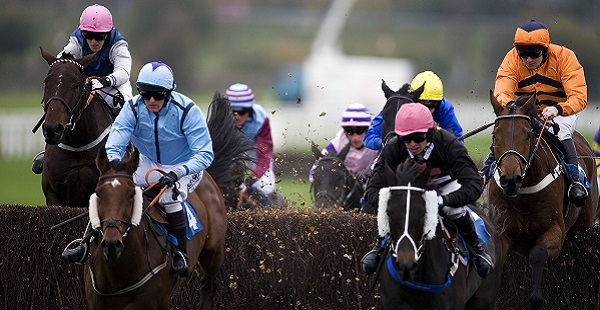 If Tidal Bay defects another interesting contender would be the Jonjo O’Neill trained Storm Survivor. By Milan out of a Presenting mare he is bred to stay all day and will relish the 4m 1/2f trip. He ran well last time at Doncaster where he was 5L second to Night in Milan 3m 2f in a cl 2 handicap. However, he is usually held up in his races and for that reason is passed over. Edmund Kean from the David Pipe stable is worth a second look. Disappointing in his last race at Newcastle in February where he was attempting to complete a hat-trick of wins over fences he got bogged down in the very heavy ground. Prior to that he seemed a progressive young chaser who raced prominently and given that he will be one of the freshest in the field should be considered. Harry Fry has a strong candidate in the ex pointer Mendip Express. Winner of three of his four chase starts under rules on the last of them, he got stuck in the mud in Newbury in February behind Smad Place and Sams Winner. Prior to that he had been very progressive and looked an out and out stayer when beating Alfie Spinner over 3m 2 1/2f at Cheltenham on New Years Day off a mark of 139 easily. He does not seem at all badly treated off his mark of 147 but as he is another hold up horse he is reluctantly passed over. Since its inception in 1839 the Grand National has been subject to many adaptations and changes but perhaps none more fundamental than after the 2012 running when the structure of the famed obstacles where altered. The timber frames of the jumps were changed to a much more forgiving plastic construction. As seen last year this redesign to a much easier fence led to an unbelievable mere two fallers. The lesson from this surely is that outstanding jumping ability is no longer required as born out by last years winner who prior to his victory had a very poor completion rate. What now seem to be required is a well handicapped animal with limitless stamina. So what of this year’s renewal. Last years third Tea for Three certainly must be considered. He is that type of superb jumper who would have benefitted from the challenge of the old style fences. However, he ran a great race last year when coming a gallant third behind Auroras Encore and Cappa Blue. Perhaps if he had been ridden with a little more restraint he may have got a little bit closer to the winner. Off a mark 2lbs higher than last year he looks very poor value at his current odds. Another factor against him I feel was the hard race he had in the Gold Cup. Pineau de Re is an interesting runner from the very successful stable of Dr Richard Newland. For an 11yo he is very lightly raced having competed in only 14 chases. He ran a race full of promise at the Cheltenham Festival where was beaten a nse and a neck by the classy Fingal Bay and Southfield Theatre in a 3ml hurdle. He was running on strongly at the end so Aintree’s 4 1/2mls should hold no terrors. One for the short list. The very likeable Long Run is trying to emulate the only two winners of the Gold Cup and Grand National, the great Golden Miller (5 times winner of the Gold Cup) and L’Escargot (the duel winner in 70/71). This is heady company indeed but with 11st 9lbs the handicapper has given him a chance. 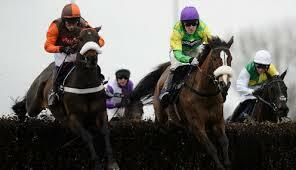 His pedigree is all about stamina and his very shrewd trainer N Henderson wisely bypassed Cheltenham with him. He will be well suited by the new fences, has a real Aintree specialist on board and must have a great chance of giving his trainer his first Grand National winner. David Pipe’s The Package is interesting. A lightly raced 11yo he ran a very promising warm up race for this at the Cheltenham Festival. Having his first run for a year he was a very creditable 3rd behind Holywell in a 3ml chase. His pedigree being by Kayf Tara out of an Ardross mare is full of stamina. So ridden by the in form Tom Scudamore I can see him being involved at the business end. The Tim Vaughan hunter chaser Golan Way at a huge price is worth a second look. Previously a more than useful hurdler and handicap chaser he looked to be back to his best when hacking up in a hunter chase at Warwick in March. If he is his mark of 142 is very fair indeed. His stamina credentials look sound as he stayed 3m6f on soft ground at Sandown. The lightly raced 9yo Hawkes Point from the Nichols stable is interesting. A decent hurdler his staying on second to Mountainous in the Welsh Grand National at Christmas was all about stamina where he was beaten by a diminishing head at the post. He looks the type to benefit from the new fences and is another for the short list. The Johnny Farrelly trained Battle Group looks interesting. Three times a winner at the Aintree Festival he is ridden by the very talented Brendan Powell. Although very disappointing In his last three races his enthusiasm for the game seems to revive in the spring. He has won five times in either April or May. Worth considering.